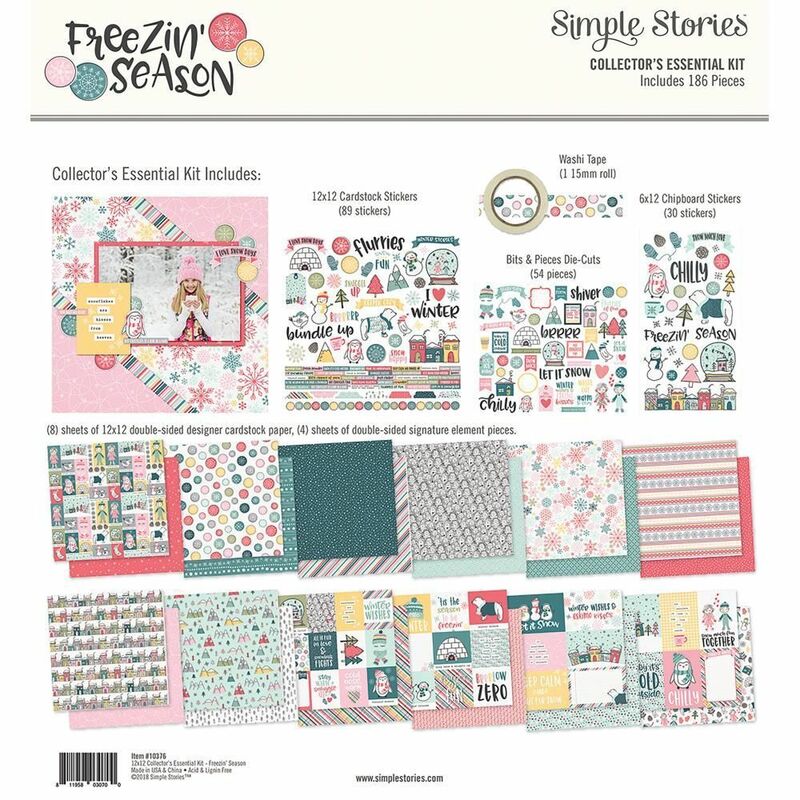 This 'Freezin' Season" Collectors Essential Kit includes twelve (12) sheets of Designer Papers including Simple Stories Signature Element Pages with Journaling Cards. You'll also find a 12x12 Sticker Sheet, Bit & Pieces, 6x12 Chipboard Stickers and a roll of Decorative Tape. Freezin' Season Collection by Simple Stories. Look for other Designer Papers and selected Embellishments.